It’s finally fall. The changing leafs and crisp air means winter is just around the corner. Sadly, the days of diving into your crystal clear pool are long gone. Or are they? The chilling temperature doesn’t mean you can’t still enjoy your pool. Follow these tips to extend your pool season, so that the fun never ends! Brrrrr. Talk about an icy plunge. You’ll want to install a pool heater to keep your pool as warm as possible during these cooler months. Many pool owners shy away from this feature because they’re afraid of breaking the bank. But on average, pool heaters cost anywhere from $100-$300 monthly, so be sure to look for one on the cheaper side! To minimize expenses but enjoy the warmth of your new heater, run it for at least an hour (or two) before swimming. If timed correctly, your pool will be ready for swimming in even a cool November day. 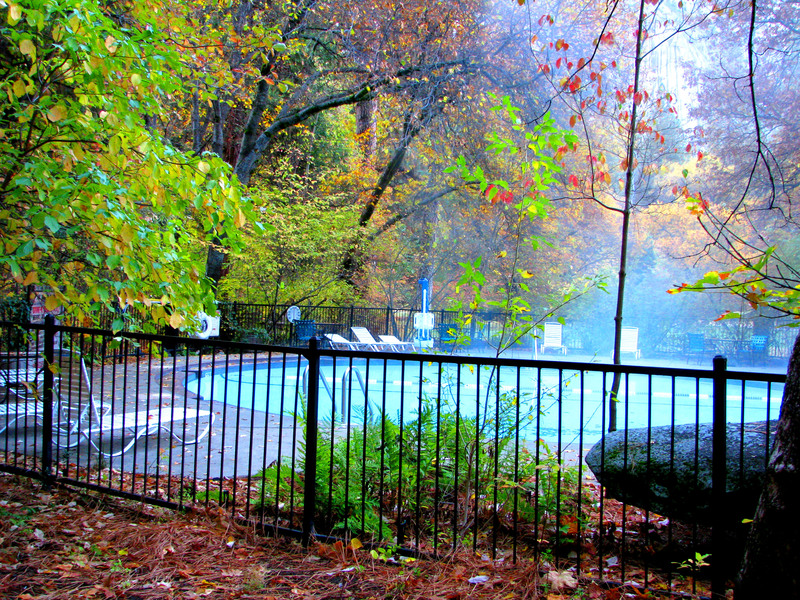 As a bonus, you’ll get to take in that breathtaking fall air and scenery as you swim. The more you swim during those colder months, the more bang you get for your buck, so just keep swimming! If you’re planning on going for a swim in cooler weather, you need to retain as much heat as possible. Unfortunately, normal summer attire won’t cut it here. With parts of your body exposed to cool air, you’ll want to do everything you can to minimize the chances of hypothermia creeping up on you. One effective method to keep warm involves wearing not one but two swim caps. Heat escapes from the top of your head, so wearing two swim caps will help to retain more heat in your body while you swim. It may feel uncomfortable at first, and not exactly fashionable, but it’s necessary if you’re going to take the risk of swimming in cold weather. Alternatively, you can look into purchasing wet suits to keep you nice and warm during your chilling swim session. It isn’t swim season, so don’t dress like it, and stay safe. Reduce Muscle Inflammation – If you find your muscles feeling sore after any sort of physical activity, the cold plunge might be your answer. Once you submerge yourself, your blood vessels constrict, prompting the reduction of swelling and inflammation in your muscles. Think athletes are crazy for taking ice baths following their workouts? Think again. Encourages Weight Loss – Any exposure to cold forces your body to work harder to keep you heated. Completely submerging yourself in cold water will make it work even harder. Taking the plunge regularly can increase the number of calories you burn in a day, as well as boost your metabolism. It’ll certainly take some getting used to, but the results are definitely worth it. Improves Cardiovascular Circulation – Cardiovascular circulation is a crucial component of your overall health. When circulation is poor, your heart becomes stressed, leading to headaches, fatigue, and high blood pressure. A cold water plunge forces blood to rush to your vital organs. Your heart immediately responds by pumping more efficiently, fully supplying your body with oxygen and nutrients. Do I really want to swim in my pool in the fall? 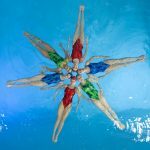 While it is not normally advised, with proper precaution you can enjoy your pool well before summer rolls around, and even improve your health vastly. Be very careful; you don’t want to be swimming in freezing cold water or in the middle of winter. Follow the above advice and you’ll have no problems reaping the full benefits of your pool. Wondering what other cool stuff you can do with your pool? Visit shorelinepools.com and learn how to get creative with your pool!